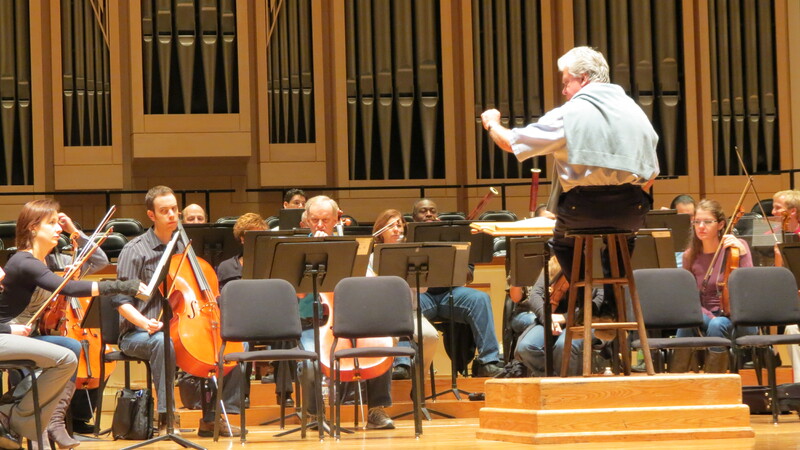 2012 was a good year for the Charlotte Symphony family. We said good-bye to some individuals but welcomed many more new additions to our family. Here's twelve stories that highlight the organization's happenings in 2012. The CSO along with N.C. Dance Theatre, Opera Carolina and other regional cultural partners participated in a month-long celebration of the arts community. The theme for the inaugural festival was The Music of Tchaikovsky. For the first time in Charlotte Symphony history, members of the Charlotte Symphony Youth Orchestra (CSYO) and Junior Youth Orchestra (JYO), the Winterfield Elementary Youth Orchestra, the Oratorio Singers of Charlotte, and Charlotte Symphony musicians performed together on the Belk Theater stage. Charlotte had the great honor of hosting the North American premiere of this exhibit which restores the memory of the nameless millions, including the musicians and artists who were lost in the Holocaust. Numerous events took place throughout the city and culminated with the performance, Triumph of Hope: Violins of Hope with the Charlotte Symphony. The CSO continued its tradition of delighting audiences with special outdoor performances at the beautiful Symphony Park including an Independence Day concert and fireworks show. Donated instruments are used in the symphony's extensive education and community programs, creating a lending library of musical instruments for students who don't own their own. An All-Tchaikovsky program gave audiences the chance to view the orchestra in a brand new way via video cameras and a large screen. Patrons also voted by text message for the encore piece. After four great years, Jonathan Martin left Charlotte to become president and chief executive of the Dallas Symphony. Shortly after this announcement an anonymous donor came forth to offer financial assistance in the search for a new executive director. Former Bank of America executive Robert Stickler is our interim executive director as the orchestra seeks a new leader. Stickler has served on the orchestra's board of directors since 2008 and is a former president of the Oratorio Singers of Charlotte. The bank offered assistance to the organization by matching up to $100,000 of contributions to the orchestra's general operations and $100,000 of gifts to CSO programs on power2give.org. A partnership between the CSO, the Knight Foundation and Mint Museum of Charlotte brought Matthew Weinstein's work to the city. Audiences experienced brilliant animation in sync with the hypnotic music of Ravel's Bolero. The 81st season opened in September with "The Music of Billy Joel" in the Pops series and and an All-Beethoven program in the Classics series. Our Music Director Christopher Warren-Green renewed his contract through the 2015-2016 season. His vision for the future of the organization includes artistic excellence, increased partnerships with other organizations, innovation through new programs and service to the community. We look forward to what 2013 will bring. We thank you so much for being part of our Symphony Family! Tagged as Charlotte Symphony, Christopher Warren-Green, Classical, CSO Musicians, CSYO, Education, History, summer pops, symphony park. After this past Tuesday's rehearsal, Christopher Warren-Green sat down with Duncan McFadyen for an interview about Friday and Saturday's Mozart Mass concert. The interview aired Friday morning on WFAE 90.7 FM, Charlotte's local NPR affiliate. WARREN-GREEN: I've wanted to bring the children onto the stage at the Symphony every year, because I believe the Symphony is a family, and that family embraces the audience--the people who work for the symphony, the volunteers, everyone who comes to concerts, everyone who listens on radio--it's a community; it's a family, and I want our audience to see what their patronage is doing for the community. MCFADYEN: Where do you think this perception that classical music is inaccessible comes from? Do you think that teaching children about the arts early in life helps to dispel that myth? Were you introduced to music at a young age? Have you been shaped by a Youth Orchestra experience? Leave your thoughts in the comments below. Read or listen to the entire interview here. Posted in Classics, Education & Community, Youth Orchestras. Tagged as Christopher Warren-Green, CSYO, Education, Mozart, Mozart Mass in C Minor. For the first time in Charlotte Symphony history, the entire CSO artistic "family" will perform together on the Belk Theater stage. At the November 16 and 17 Classics Series concerts, featuring Mozart Mass in C Minor, the program will now open with a special performance of Mozart's Ave Verum Corpus by members of the Charlotte Symphony Youth Orchestra (CSYO) and Junior Youth Orchestra (JYO), the Winterfield Elementary Youth Orchestra, the Oratorio Singers of Charlotte, and Charlotte Symphony musicians. This special performance is reflective of Music Director Christopher Warren-Green's vision for the Charlotte Symphony as a primary source for music education in Charlotte. 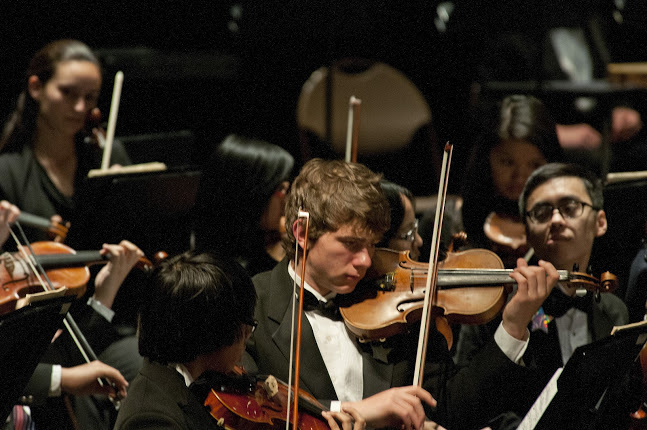 Warren-Green sees the Charlotte Symphony's youth orchestras as vital to the growth of the organization and the enrichment of the Charlotte community. "I feel very strongly that you can't have one organization--the Charlotte Symphony or our Youth Orchestras--without the other," said Maestro Warren-Green. "We need the professionals to teach the youth and the youth are our future musicians, audience members, and supporters. Our mission is to educate our whole community and our Youth Orchestra [CSYO and JYO] programs, for instance, have been educating young musicians for fifty years." He added, "We know that the discipline the students learn by studying music contributes to success in other subjects in school. I'm very proud to be the Music Director of an orchestra that has educated and continues to educate so many members of our community." Mozart Mass in C Minor will take place on Friday, November 16 and Saturday, November 17 at 8:00 p.m. at the Belk Theater. The concert will feature the Oratorio Singers of Charlotte, the official chorus of the Charlotte Symphony, and soloists Karina Gauvin, soprano, Mary Wilson, soprano, Daniel Stein, tenor, and Sumner Thompson, baritone. Single tickets start at $19 and are available by calling (704) 972-2000 or visiting the website. Posted in Classics, Education & Community, Youth Orchestras. Tagged as Christopher Warren-Green, CSYO, Education, JYO, Mozart, Mozart Mass in C Minor, Oratorio, winterfield elementary. Dr. Ernest Pereira leads our Youth Orchestras and was recently interviewed by Dr. Maha Gingrich for CPCC-TV's Charlotte: A City of International Success. Did you happen to catch the program on WTVI, Time Warner Channel 17? For more details about the Charlotte Symphony Youth Orchestras or other Education programs, visit http://www.charlottesymphony.org. Posted in Youth Orchestras. Tagged as Charlotte Symphony Youth Orchestras, CPCC-TV, CSYO, WTVI. In the summer before seventh grade, I entered into a long and devoted alliance to a formidable but wonderfully giving master: the Charlotte Symphony Youth Orchestras. My orchestral career, at that point, was still in its developmental stages, and I could barely read music. Thanks to my Suzuki training, I memorized everything, and learned notes through finger numbers. This would be the method to my madness in the "Sizzling Strings," small youth string orchestras in the Charlotte and Matthews community that would later expand to include the "Blazing Band." Led by CMS teacher Bruce Becker, these groups truly nurtured my desire to perform in any sort of ensemble and introduced me to fellow musicians that I still frequently gig with today. Through his encouragement, I auditioned for the CMS Middle School Honors Orchestra, and it was there that I first understood what it meant to compete for a chair; more importantly, it was where I heard about the Charlotte Symphony Youth Orchestras. From my stand partner and others, I came to the understanding that each of the principal players of the Honors Orchestras that year was in either the Charlotte Symphony Youth Orchestra (CSYO) or the Junior Youth Orchestra (JYO). I heard tales of how these kids, orchestral warriors of their time, had won auditions that were legendary in their intensity. My mother spoke to other parents at the final Honors Orchestra concert, and then worried about what would clearly become a near-obsession for me. As I picked up the glossy brochure, one particularly snotty kid, and my biggest competition at that time, muttered "I heard they make you cry in the auditions," as he sauntered by. I was hooked. Upon taking my JYO audition [in which I did not cry], I felt an excitement that I had not experienced up to that point in my "career." My Suzuki training had served me well. The night before the first rehearsal, my mother spent nearly three hours straightening my long unruly hair, and I polished my violin until I could see my reflection in the varnish. When I arrived the next morning, I was met with a surprise: the JYO was a full symphony with strings, woodwinds, brass, and percussion something I had not anticipated. From the back of the second violin section I barely hung on as the orchestra read down an arrangement of Tchaikovsky's Nutcracker Suite. Panicked, I realized that I would have to work harder than I ever had in order to keep up. More importantly, I was carnivorous in my desire for a better chair. Like most of the kids in Charlotte, placement trumped "musical experience," "cultural enrichment," or any other "reason for the season" the adults had thought up to justify the existence of these ensembles in the community. I had to know what it felt like to be first chair of THIS orchestra. Nothing else would suffice! As I plotted my practicing moves from the back of the section, equally focused and distracted by flutes?! clarinets?! timpani?! I realized that this was the start of something very big. Though I spent the next six years trying to decide whether or not I would major in literature or fashion marketing, I now realize that thanks to the JYO, and later, the CSYO, my career path has been set since the seventh grade. And I don't regret a minute of it. Jessica McJunkins was a Charlotte Symphony Youth Orchestra violinist from 1998-2004. She served as principal second violin for the CSYO Carnegie Hall debut in 2002 and Assistant Concertmaster for the 2003-04 season. For more about the youth orchestras, visit www.csyo.net. Posted in Youth Orchestras. Tagged as CSYO, Education, Suzuki, Tchaikovsky. I will never forget the first time I heard a Charlotte Symphony concert. My parents had Charlotte Symphony season tickets, and on this particular evening my mother was ill. I was a fifth grade violin student in the Eastover Elementary string class taught by Dominco Scappucci. There was a guest violinist slated to play, so my Daddy took me to the concert. I felt very special all dressed up and was introduced to grownups as we took our seats. I remember that I was feeling sleepy towards the end of the first selection, but then Sidney Harth walked out on stage with his violin. He played the Beethoven Violin Concerto. His long bow strokes producing silky sounds were mesmerizing. I was engaged not just for the moment, but for the rest of my life. No longer was being the first chair in the Eastover Elementary String Orchestra enough. It was just the beginning. There was music to learn and places to go. I went on to be a Charlotte Symphony Young Artist Winner in 1968 and joined the youth orchestra as a violinist while in ninth grade, going on to play in the Charlotte Symphony my senior year. Being a violinist was a ticket for me to see the world. I have played under conductors Leonard Bernstein, Seiji Ozawa, James Levine, Leonard Slatkin, George Solti, Daniel Barenboim, and many more. That night many years ago I was lucky enough to have parents who loved music, a violin given to me to play, and opportunities provided to me by the Charlotte Symphony Youth Orchestra and the Charlotte Symphony. I sure hope they keep up the good work! I am now back in the Charlotte area teaching orchestra at Eastway and McClintock Middle Schools, hoping like the musicians of the Charlotte Symphony to pass on the wonderful lifelong gift of music. Mary Catherine Rendleman Edwards has enjoyed a carreer as a professional violinist for over forty years. She holds a Bachelor of Music from Boston University and a Master of Music from University of Michigan/Ann Arbor. A Salisbury resident, she drives to Charlotte daily to teach orchestra at Eastway and McClintock Middle Schools. Tagged as Beethoven, CSO Musicians, CSYO, Education. Outside the sun is scorching, in spite of the breeze that blows through the Converse College campus. Fortunately, though, Twichell Auditorium is air-conditioned, and the young brass players of the Charlotte Symphony Youth Orchestra are oblivious to the August heat as they work through a difficult passage of Grieg's Norwegian Dance. The musicians of the CSYO are attending the orchestra's annual summer camp, sponsored by The Symphony Guild, gearing up for a new season of music-making. Mornings are dedicated to full orchestra rehearsals; after lunch, the students divide into sections, led by members of the Charlotte Symphony. Last Thursday afternoon in the lobby of Twichell Auditorium, CSO Principal Tubist David Mills was warning the trumpets to make way for the horns: "There's something that comes right after you, so hit that note and get out of the way." Inside the auditorium, CSO Principal Timpanist Leo Soto was teaching a student about the power of pianissimo. With his ear down, his whole body alert to sound, Leo caused a magical shimmer to arise from the drums. The effervescent sound made the hairs on my arm stand up, and demonstrated to his young protégé that you can command as much attention with that hush as with a resounding thunder. The appointment of Gustavo Dudamel as Music Director of the Los Angeles Philharmonic has brought spectacular national attention to Venezuela's youth orchestra system and the philosophy of its founder José Antonio Abreu. Abreu's system is building amazing orchestras, but he aspires to accomplish much more: He maintains that orchestras build community, create good citizens, because the varied members of an orchestra come together for the common good to perform great music. At youth orchestra camp, the members of the CSYO are experiencing this first-hand, all day, every day. "It's great doing music all day," said flutist Sarah Sullivan, a rising senior at North Meck High School, earlier that afternoon. "You'd think you'd get tired of it, but it's really fun. It's really a relaxed atmosphere everyone is open and willing to get to know each other." And the students are doing more than music all day. They're getting music lessons, but they're also getting lessons in life. Like David Mills's comment to the trumpets: Be respectful of others' space and time. Or Leo Soto's demonstration: Listen, focus, be precise, and remember that you do not need to yell to be heard. "In sectionals and in the full orchestra, you realize that you have to listen," oboist Michael Smith, a rising senior at Providence High School, told me during a break from sectionals. "It's a great mantra for a community, because if you're not listening to other people in a community, how can ideas be shared?" "They say music is the universal language," Elizabeth Honeyman agreed. Elizabeth is a junior at Peabody a CSYO alum who has come back to lead the oboes. "But you have to learn how to work with others; you have to learn when to lead and when to follow. You connect to everyone else. What you do on your own is not nearly so important as what you do when you link into everyone else." And when these students "link into everyone else," they look for unity among the differences, another CSYO alum, Loren Taylor, added. "It's like a family; if there is any conflict, it's like sibling rivalry. Coming together like a family is what makes people in the youth orchestra better citizens contribute to society. We're building something together. Even if you're in a lower chair, your part is still contributing to the whole." Meg Whalen is the Director of Public Relations and Community Engagement. Tagged as CSO Musicians, CSYO, Education, El Sistema, grieg, Gustavo Dudamel, High School, Jose Antonio Abreu, Life Lessons, Symphony Guild.